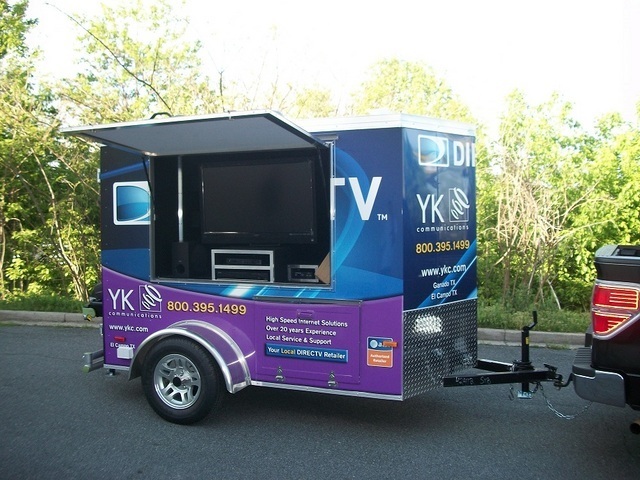 Towable Tailgates™ is an experienced designer of corporate promotional/marketing trailers that are sure to increase your product awareness to consumers and build brand recognition. With our capabilities to build custom trailers ranging anywhere from 5 to 8.5 ft. in width, and up to 40 ft. in length, we have the perfect solution to fit your products and needs. Your process begins by contacting the Towable Tailgates™ design team, who will work with you to determine the needs and goals of your project. 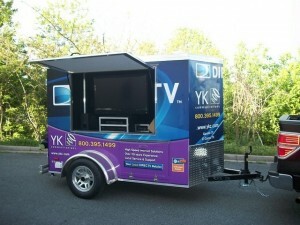 You will then be provided with a PDF layout of your trailer along with a price quotation for your approval. Once these are approved, your custom trailer is built using the highest-quality materials in the cargo trailer industry, and inspected after each step of construction to ensure complete accuracy. Upon pick-up or delivery, our team will provide a full demonstration on how to set-up and breakdown your new custom trailer. Do not wait any longer, contact us today! Please feel free to browse our Towable Tailgates™ Past Clients Page here to see more success stories from our previous corporate clients.